participated to this consultation and he facilitated some session in this meeting. Mr. Dominic presented ASPBAE activities and interventions in the regional and international level. He also introduces the candidates with their profiles and the explain procedures related to voting. the certain activities /project. After the presentations they were also updated on the guidelines which have to be followed in selecting the representatives. Finally, members were asked to select voting representatives. After a discussion they identified Miss. 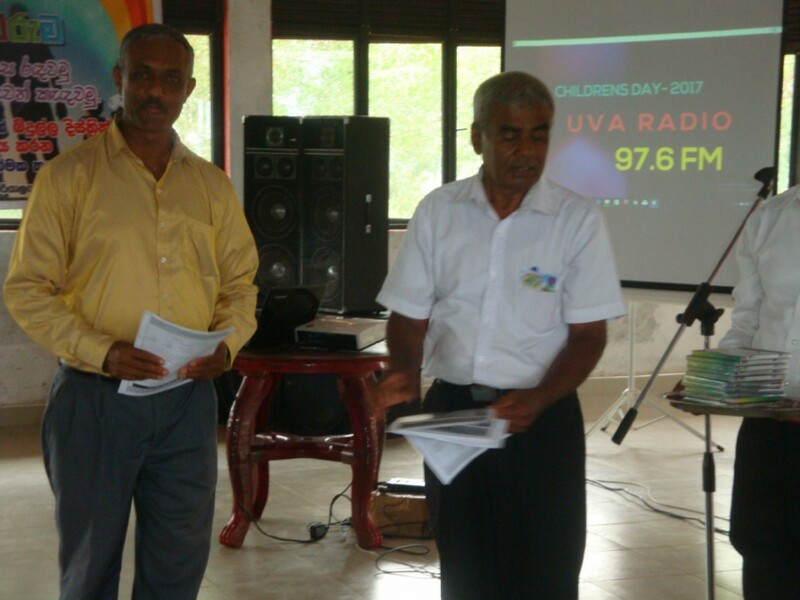 G.A D W Ranatunga from Sarvodaya women’s movement and Mr. L.W.R.Wickramasinghe from Organization of Environment and Children Rights Preservation (OECRP) as the country voting representatives. 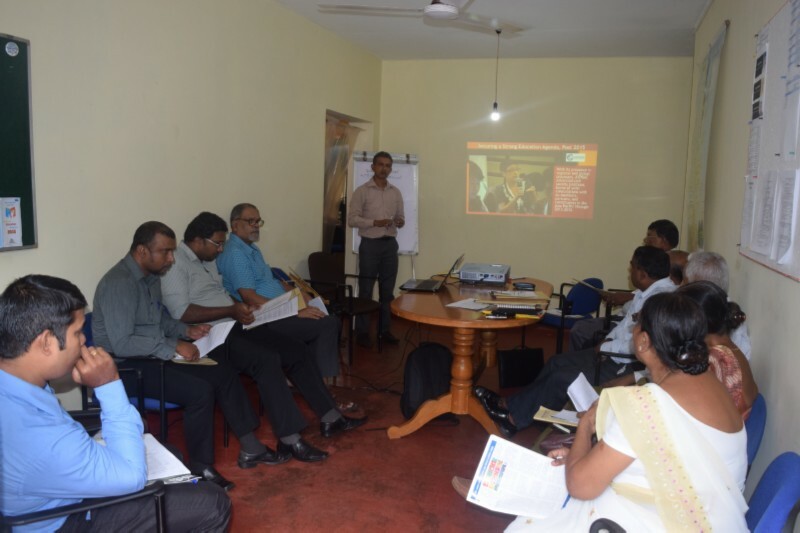 CED conducted a media fellowship programme for the journalist in the print media. 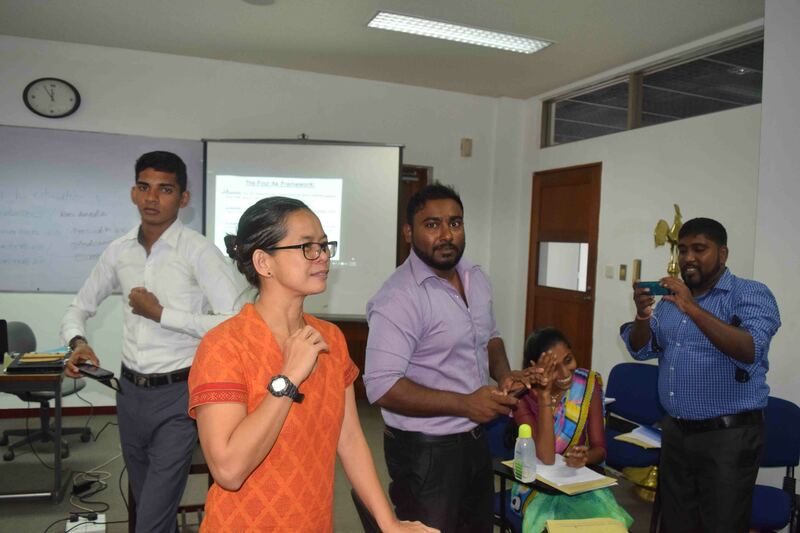 In this programme the role of media in promoting SDG4 in Sri Lanka was discussed in detail and eight journalist who represent main stream print media participated to this event. CED was able to update the knowledge of the journalists and build links with them. 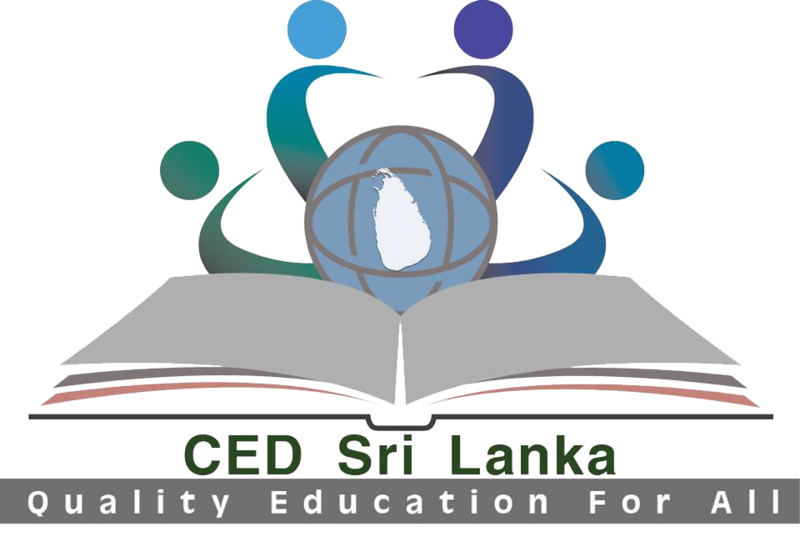 CED expect these media personnel would compile articles on the agreed themes related to education and also provide media coverage to CED and other education events. 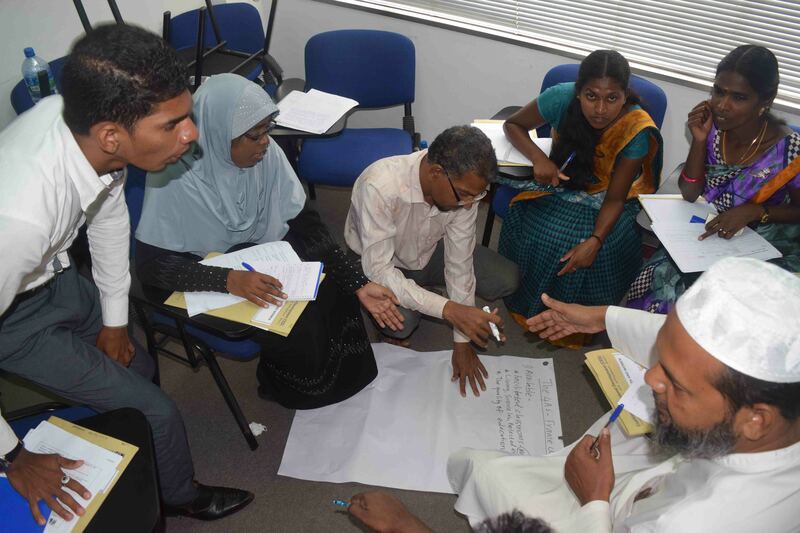 In Sri Lanka there is no adequate knowledge and awareness on overall sustainable development goals and related targets among the general public. 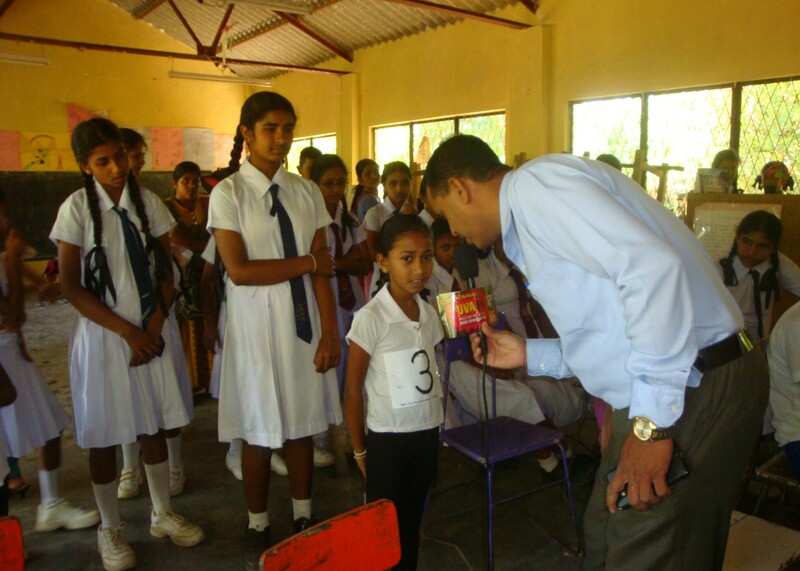 Although the government organized some events/programmes to raise the awareness, these attempt were not able to reach the community effectively. This situation could be identified as a major obstacle in participatory planning and localizing the SDG targets which make a negative impact on realizing the desired goals. 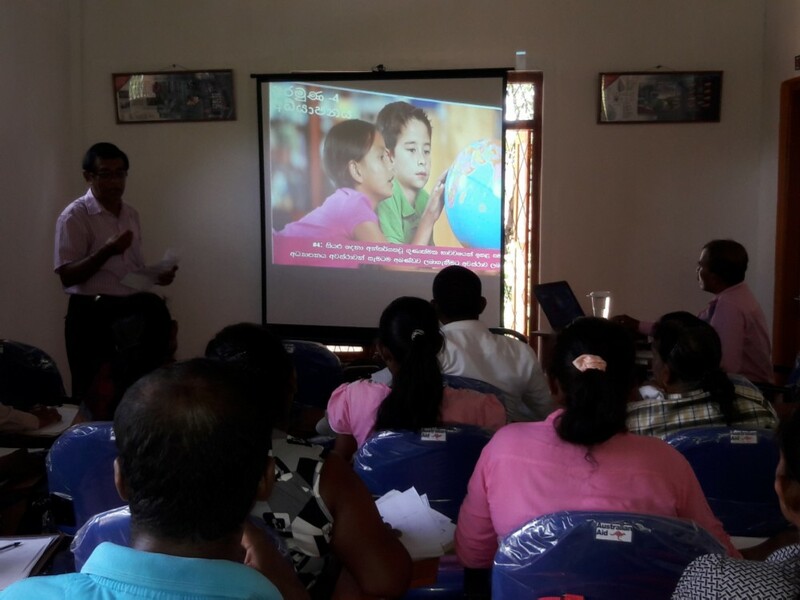 To address this issue CED conducted 18 training workshops on SDGs and SDG4 for the parents and teachers. 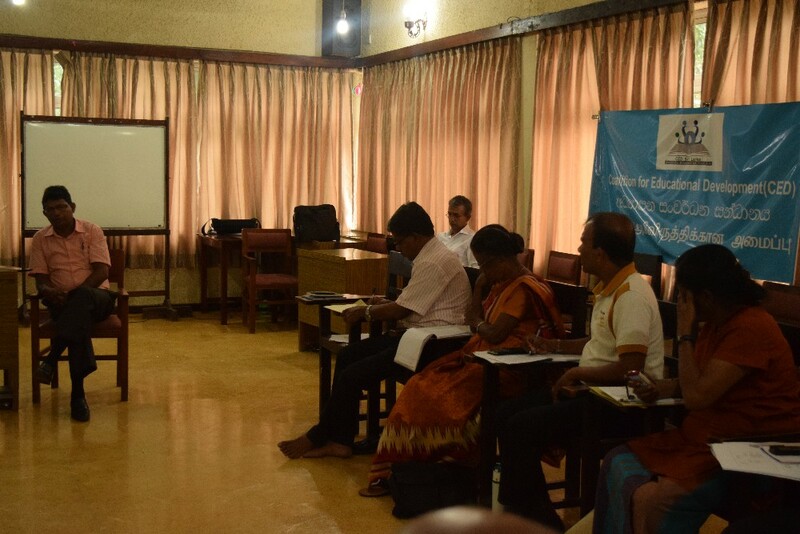 These training workshops were organized by CED district coordinators with the assistant of zonal education directors. 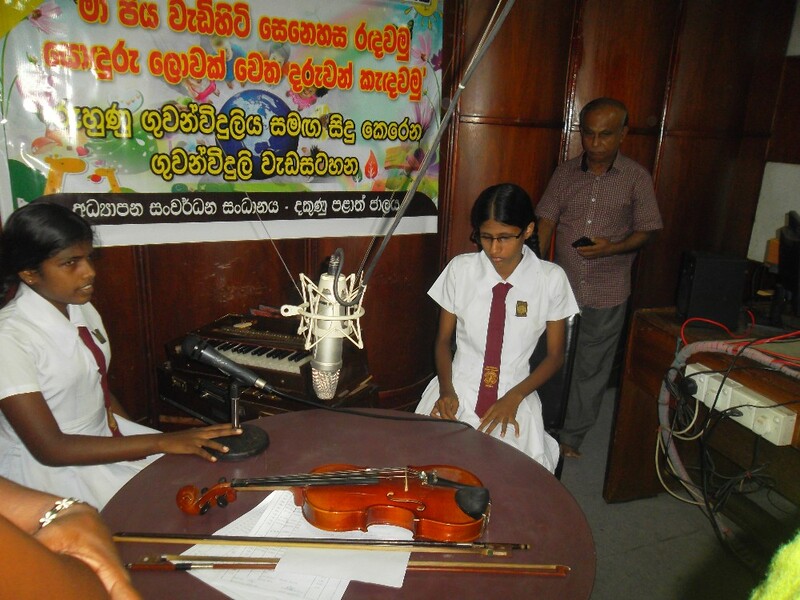 These programmes were held during the month of August and September. 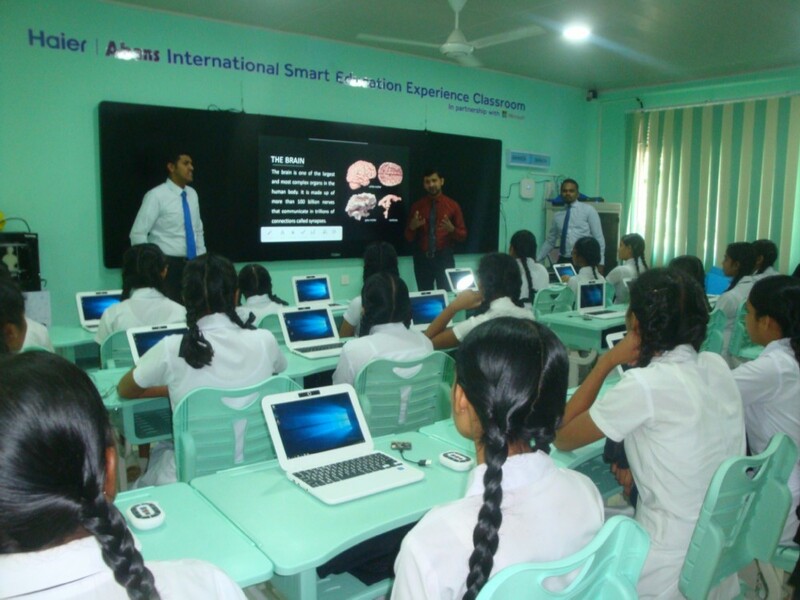 Through 18 district level training programmes CED was able to reach 750 school teachers. CED conducted training for the youth and women on investigative journalism. 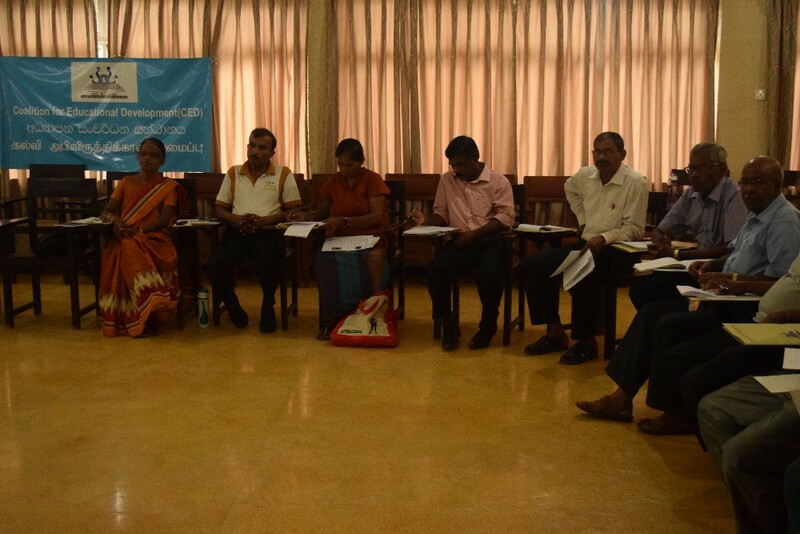 Forty participants who represent various social economic and ethnic groups joined this training. These groups are expected to report the issues related to education in to the mainstream media and social media. Some of them have already sent article to the Voice magazine – the Newsletter of CED and reported provincial issues to the media. CED district coordinators were asked to identify and select suitable participant for the training workshop. 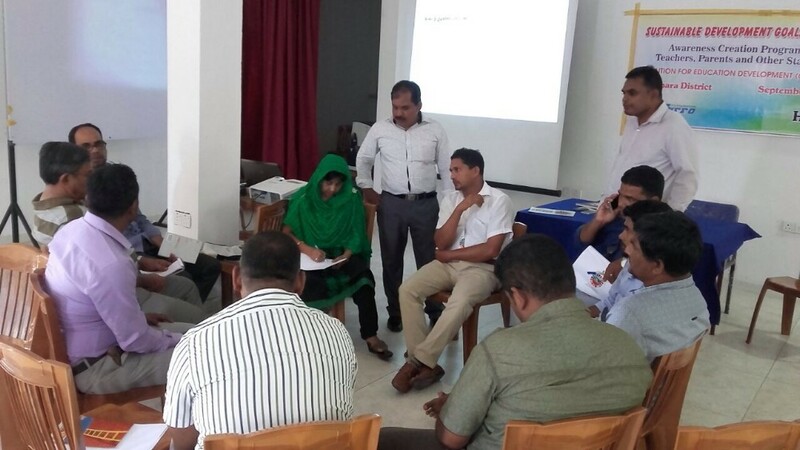 Two senior journalists facilitated the training and the entire training was conducted in Sinhala medium with Tamil translation. This training was held on 2016 July at CETRAC training centre in Battaramulla. 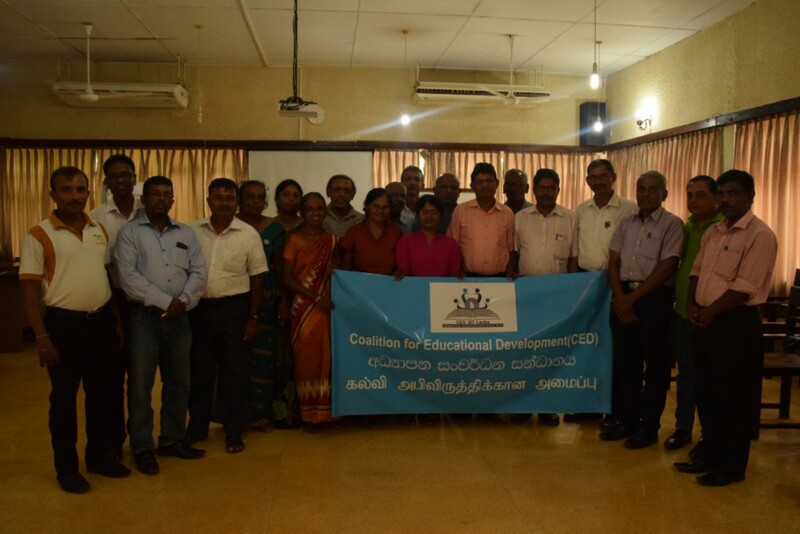 All the participants assured their support in providing media coverage for CED intervention in Education field.